From the power of the dog depends on her health and mood. Dogs are forced to eat what they give the owners. But if you properly feed your four-legged friend? 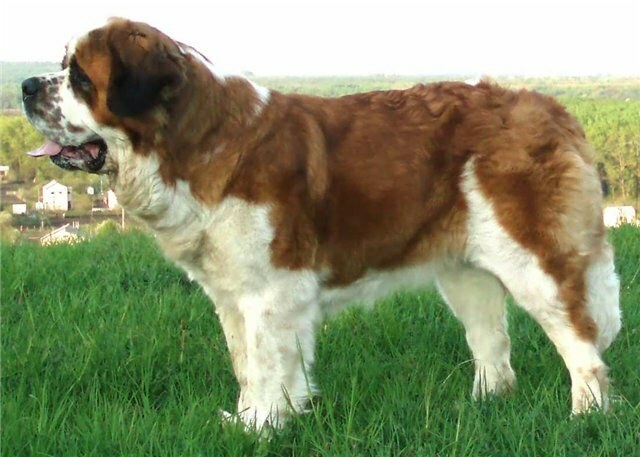 St. Bernard – dog fancy is a large, strong, with beautiful long hair and therefore requires special attention and care. Buying a puppy, ask the breeder, what he eats and stick to the same diet at least for the first time the life of the pet you have. Feed a Saint Bernard in the stand, the height of which increase with the growth of your pet. The bowl should be at chest level of the animal - it will provide convenience during meal, as well as contribute to the formation of correct posture. Teach your dog from an early age are in the same place from the same bowl or pot (wide enough, as the dog has a large snout and narrow bowl during eating will make her feel uncomfortable). Warm food is necessary, it should be warm, but not hot. This will help to protect the animal from possible future problems with digestion. - if the dog does after eating is actively licking the bowl – portion should increase as the St. Bernard eats not. Overeating leads to deformation of the spine and extremities and weighting of the dog, causing it to become sluggish and clumsy. Persistent malnutrition leads to leanness, often moulting, reduced immunity and, as a consequence, to various diseases. 10 months - 2 times. 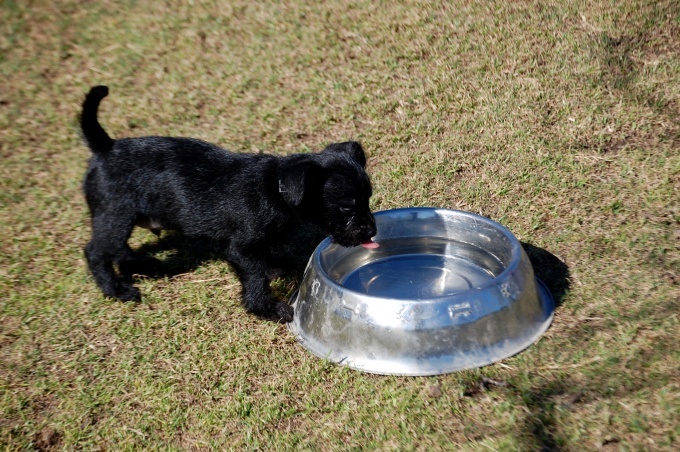 Adult dogs (especially in the hot season) feed should be in the evening once a day. The amount of consumed dog food increases depending on age. For example, the amount of meat given to puppies at the age from 1.5 months to 1 year varies from 150 g to 600 g, the fish of the sea - from 200 g to 500 g, cheese calcined from 70 g to 400 g, cereals from 80 g to 250 g, vegetables - from 50 g to 200 g of fermented milk products - from 100 g to 500 g per day. Be sure to add in the food your pet mineral fertilizer, vitamins and calcium-containing drugs. Puppy essential vitamins A, E, D is the vitamin of growth, you can buy them at the pharmacy in liquid form (so it is easier to give the dog). 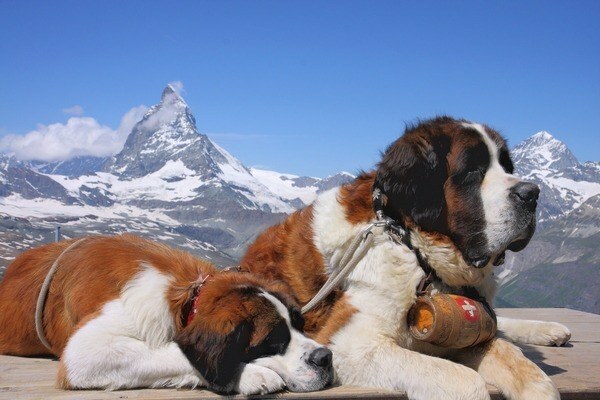 The St. Bernard is a large animal, so its backbone needs constant support calcium throughout life. For this diet need to present milk products, curd, fresh vegetables, boiled eggs, and saltwater fish. You can organize mixed feeding puppy Saint Bernard. Just keep in mind that such feeding for years is the subject of debate among veterinarians who cannot come to one opinion about the benefits or the dangers of mixed feeding and feeding only dry food. In the case of mixed feeding in the morning, let your puppy calcined cottage cheese, and at night - scalded raw meat. It should be added to the puppy's diet drug of calcium (from an average of about a third of the daily value, usually indicated on the packaging). The nuances and the details of the feeding, ask the specialists: veterinarians and dog trainers. The transition to dry feed (with similar mode of feeding), feeding natural foods should be done gradually, at least during the week, replacing dry food one by one feeding. The amount of recommended servings must conform to the standards specified on the packaging with the food. It is necessary to give the pet constant access to clean drinking water. Let's adult St. Bernard raw bones and cartilage, which contain not only calcium but also other minerals. Razgryzaniya bones also helps cleanse the teeth and strengthen the gums. 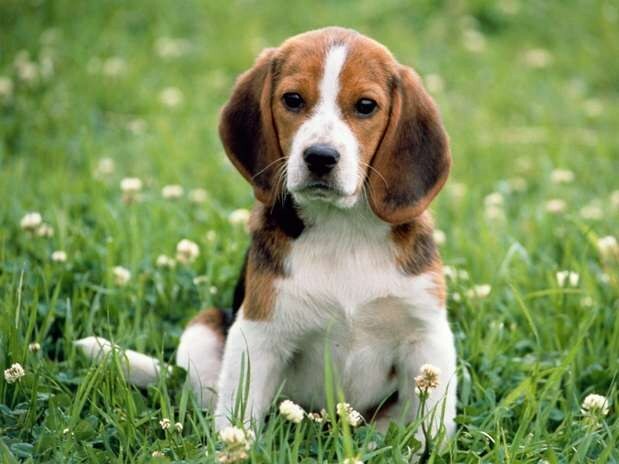 Puppies should be able to chew associated tendons sold in specialized stores, typically in the form of bones for dogs. 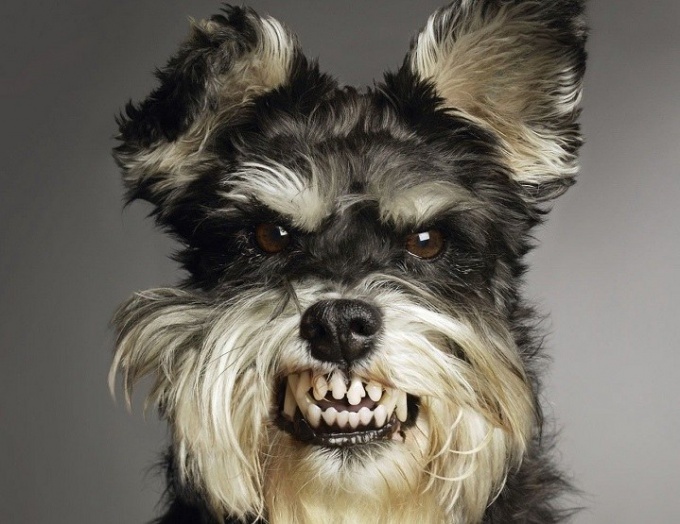 Don't let the dog at any age tubular bird bones, bones from fish, pastries, which can cause allergies. Podsalivaya slightly food for dogs, but much smaller than himself, so as not to arouse a constant feeling of thirst. Change the drinking water every day. A bowl of water should always be available for dogs. Teaching your four-legged friend to a healthy lifestyle, you can protect him from many diseases, and yourself get rid of many problems.